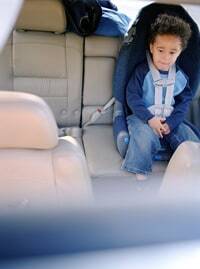 Have You Checked Your Car's Child or Booster Seat? The National Highway Traffic Safety Administration (NHTSA) is observing Child Passenger Safety Week, and is asking parents to focus on car seats and booster seats. This Saturday, September 22nd, is National Seat Check Saturday. We encourage all parents to have a trained expert perform a free check of your child's seat. Click here to find a location near you. Please call stations in advance to confirm sites are participating. Click here to learn more about Child Passenger Safety Week. Infant carrier seats. Also called rear-facing seats, these are for children up to 1 year of age who weigh 20 pounds. The height limit is under 26 inches. Rear-facing convertible seats. These are for children who are 6 months to 1+ year of age and weigh under 30 pounds. The top of the head should be at least one inch below the top of the seat. Forward-facing seats. These are for children over 1 year of age, who weigh more than 20 pounds and under 40. The top of the child's shoulders should sit below the top harness slots on the seat. Booster seats. These are for children between 4 to 8 years of age. They should have both lap and shoulder seat belts. When a child outgrows either the seat's weight limit or height limit, they have outgrown the seat. Selecting a Child Passenger Seat. The State of Massachusetts explains more on the basics of selecting the appropriate child seat for your children. Massachusetts Law on Car Seat Use. The Enhanced Child Passenger Safety Law requires children to use child or booster seats until they reach 8 years old or stand over 57 inches tall. In June, we celebrated 20 years of excellence in representing clients in injury cases and leading safety campaigns which improve safety for the public in Massachusetts. 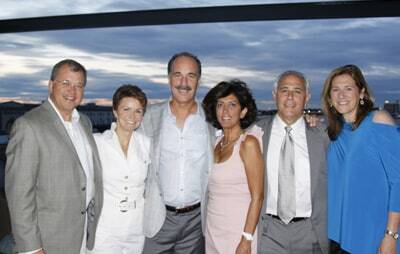 Click here to see our anniversary party photos in Massachusetts Lawyers Weekly. The days of trying to play through a sports injury in Massachusetts are over for student athletes, especially when a concussion is involved. Since September 2011, high schools have been required to provide both young athletes and their parents with concussion training and prevention materials. Students suspected of sustaining a concussion now also have to sit out until a medical professional clears them for play. The rules are important because a concussion is a mild brain injury. It can be sustained by a hard blow during a game or practice. The injury can have long-term complications without proper rest and medical supervision. 1) Talk to the Coach. Ask how the coach has implemented the new concussion education guidelines. 2) Right Equipment. Make sure your student athlete is wearing the latest equipment recommendations. One resource to check with is Massachusetts Interscholastic Athletic Association. 3) How Would You Know? Familiarize yourself with the signs of a concussion with this chart . Watch out for them when you suspect your child may have been injured. 4) Create Your Own Action Plan. Speak to your family doctor about a game plan for seeking medical help should your child ever suffer a sports head injury. Even if your child has been evaluated by a team doctor, you should seek medical attention from your own family doctor or in the hospital emergency room. Click here for more information on the concussion law from the Massachusetts Interscholastic Athletic Association. Breakstone, White & Gluck is a Boston law firm specializing in personal injury, medical malpractice and car accident cases. Visit our website to see all our practice areas and learn more about us.